One could argue that social responsibility is one of the most important core values an organization can have. Indeed, in the values statement itself we state our belief that profitability cannot be our only measure of success. We are incredibly privileged to live in a part of the world where most of us never see the kind of need that is experienced in much of the rest of the world. There is an old proverb that says, “To whom much is given, much is expected.” We have indeed been given much, and we believe it’s our responsibility to give back wherever we can. Environmentally – We ensure we’re recycling and making the best use of our resources to minimize waste. We endeavour to be fiscally responsible and we share profits with our employees at the end of each year based on the company’s profitability. Locally – Iridia allows every staff member three paid days per year to engaged in volunteer activities. We want our employees to be invested in their communities, and encourage the giving of their time to organizations that need their help. We give to local charities in the way of sponsorships and gifts during their fundraising campaigns. Regionally – Recently, we have decided to support a BC-based organization or charity. We asked for staff participation in suggesting projects worthy of our support and then did a survey to determine which project people were most interested in getting involved with. Internationally – For the first time this year, Iridia partnered with Kiva.org, an organization that facilitates giving micro loans to entrepreneurs in third-world countries. These loans enable them to start businesses that will move them out of poverty and allow them to support their families and build their local economies. We’re excited to see where these business people will be a year from now, and intend on continuing to support to these kinds of endeavours in the future. There are lots of ways to measure success and Social Responsibility, and businesses who are leaders in the marketplace make sure they pay attention to all success factors. These activities keep us ground and grateful, and what could be more important than that? Social responsibility is one of our core values at Iridia – and to do business more responsibly, we made a decision to proactively compost much of the waste produced at our Vancouver office. To achieve this, we partnered with Growing City to reduce our carbon footprint. One of the benefits about working with Growing City, is that they send you regular updates about your personal carbon reduction. In only 23 weeks of corporate composting, we have diverted 345 kilo’s of waste that would have otherwise been sent to a landfill. 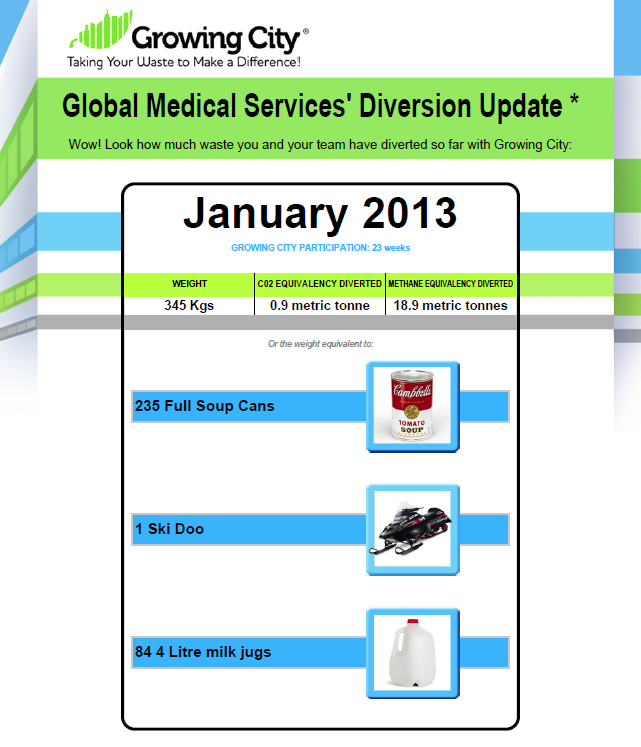 The Diversion Update is a cumulative record of the amount of waste our company has diverted since starting service with Growing City. The record is based on averages relating to bin size and pick-up frequency. We look forward to continually reducing the amount of waste produced by our office and our continued partnership with Growing City. Learn more about Growing City and how you can reduce your corporate footprint. 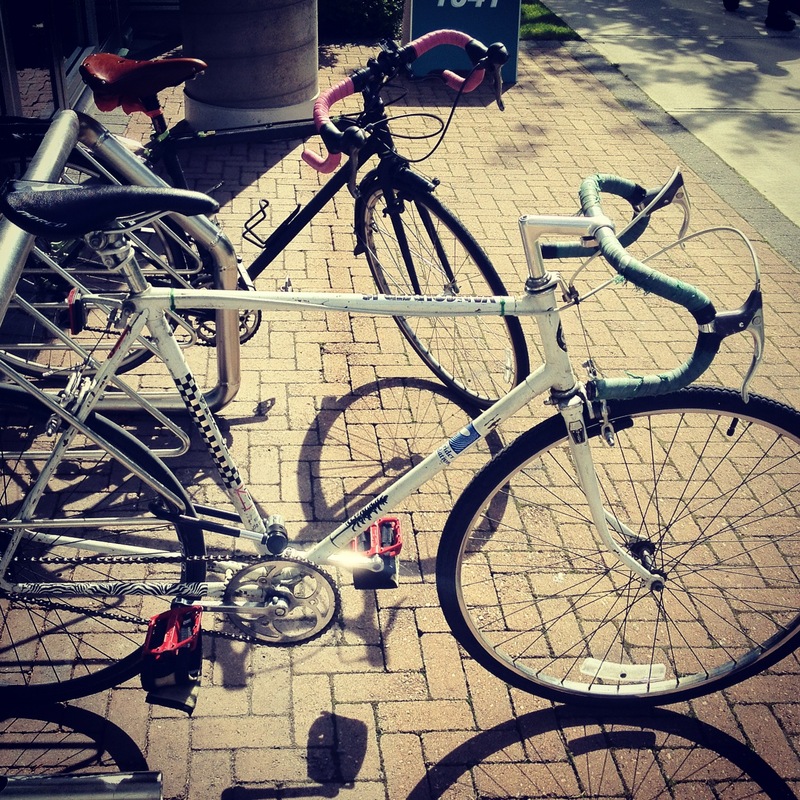 During the last week of May, Iridia staff participated in Metro Vancouver’s Bike to Work Week. 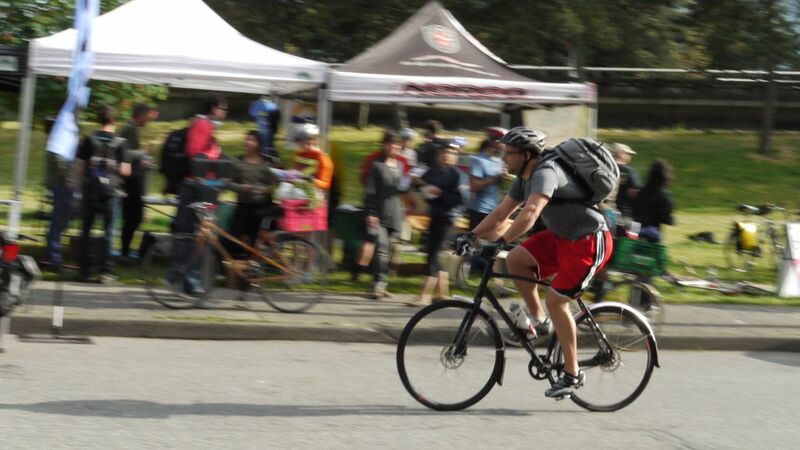 Bike to Work Week which is a twice annual event, encourages avid cyclists and new riders alike to sign up, log their communities, win prizes, and be part of making Metro Vancouver a better place to live. Improving air quality, reducing road congestion, improving personal health and connecting with their communities are a few of the benefits realized by Bike to Work participants. This spring’s Bike to Work Week had approximately 4,500 participants, who biked a total of 320,435 logged kilometres! The three person Iridia bike team rode a total of 300km throughout the week. Aside from the environmental benefits of biking instead of driving, cycling is great for your health! The heart is one of the most important organs for a healthy life but can suffer from an inactive lifestyle. Cycling is ideal for training the heart to be stronger which results in less stress on the heart. All the risk factors that lead to a heart attack are reduced, and regular cycling decreases the likelihood of heart attack by more than 50%. In addition, moderate cycling can prevent, or at least reduce, high blood pressure and help avoid stroke or damage to your organs. One of Iridia`s Values is Social Responsibility. Bike to Work Week is a great example of how this value goes beyond Iridia`s bottom line and extends into promoting and encouraging practices that are socially responsible and environmentally sustainable. Iridia has provided its employees with the facilities and amenities to bike to work and, in turn, directly impacts the amount of greenhouse gasses and other emissions that could be potentially put into the air by driving to work. Even though Bike to Work Week is over, our staff will continue to bike to work, rain or shine, and we encourage everyone to get out for a cycle!